Get on Up! The new James Brown biopic is here! 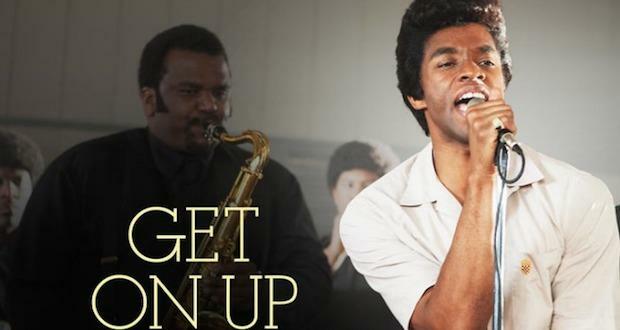 Get on Up, the new and powerful biopic on the Godfather of Soul, James Brown has just been released to decent reviews in the US. James Brown played by the brilliant Chadwick Boseman channels Brown like it’s no one’s business. Produced by Mick Jagger, yes that’s correct Mick Jagger, directed by Tate Taylor (The Help) and written by Jez and John Henry Butterworth, Get on Up chronicles James Brown’s rise from extreme poverty to becoming one of the most influential musicians in history. If you like your funk and soul, you will dig this movie. Go and check it out, cause you know the funk won’t quit! Scheduled for Australian release early October. This entry was posted on Thursday, July 31st, 2014 at 6:53 am	and posted in Uncategorized. You can follow any responses to this entry through the RSS 2.0 feed.